Our doors are open at our new home! 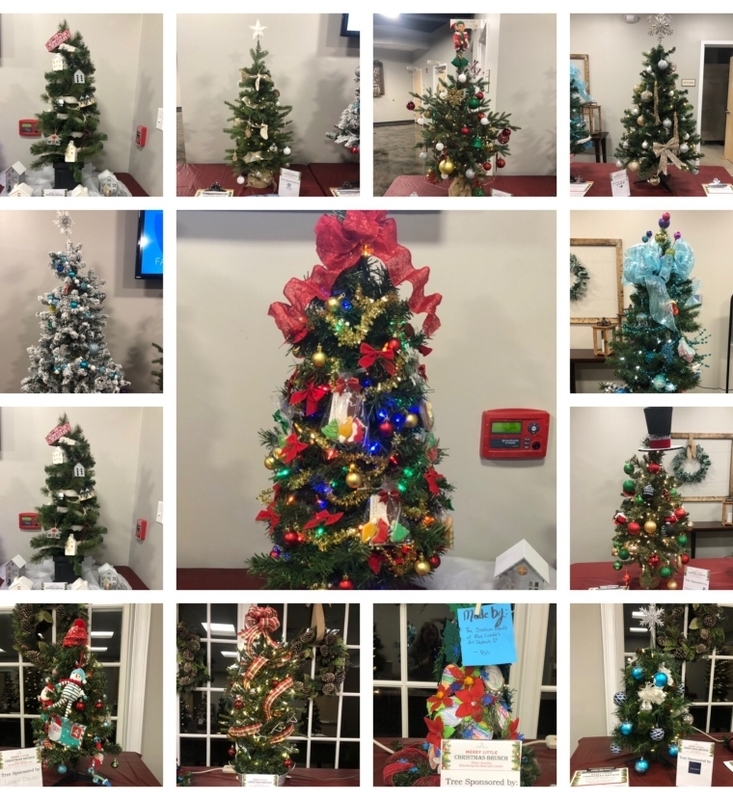 A very special thank you to the St. Paul Lutheran School students, families, and teachers for the awesome gift of toiletries for the families that we serve! 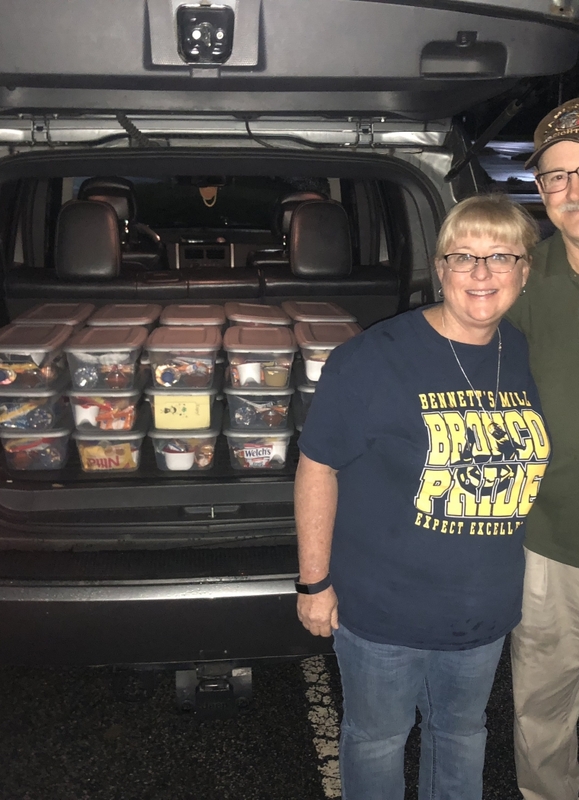 With the direction of Mrs. Susan Boyd, Bennett’s Mill Middle School special education students prepared boxes of fun snacks for the children of the families we serve. What a sweet gift of kindness this was! We have been financially blessed by the generosity of Chick-fil-A and Pinewood Studios. 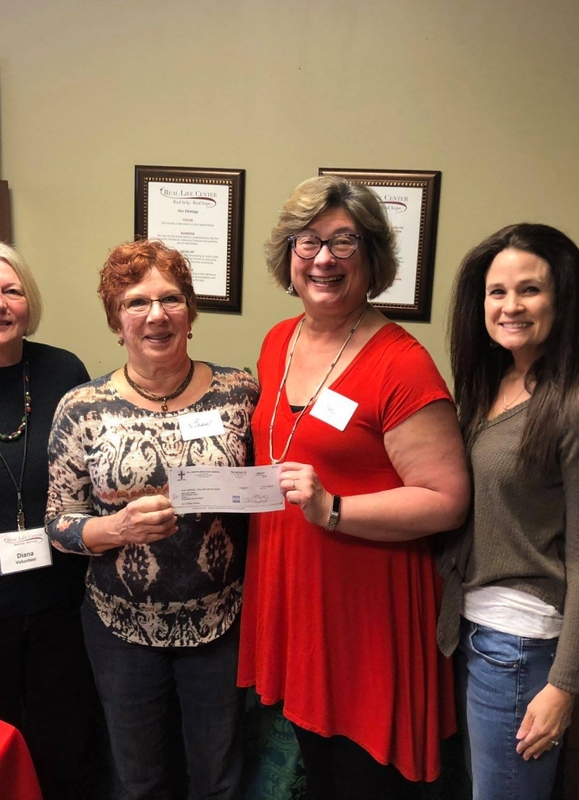 Their efforts in hosting the 2019 Reel People Care Gala show they are truly committed to our community. We appreciate their support! 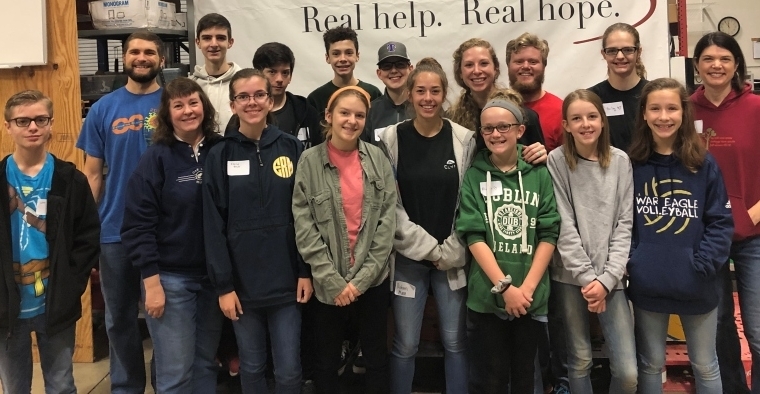 Students from the National Honors Society at Trinity Christian School helped us prepare for our move. 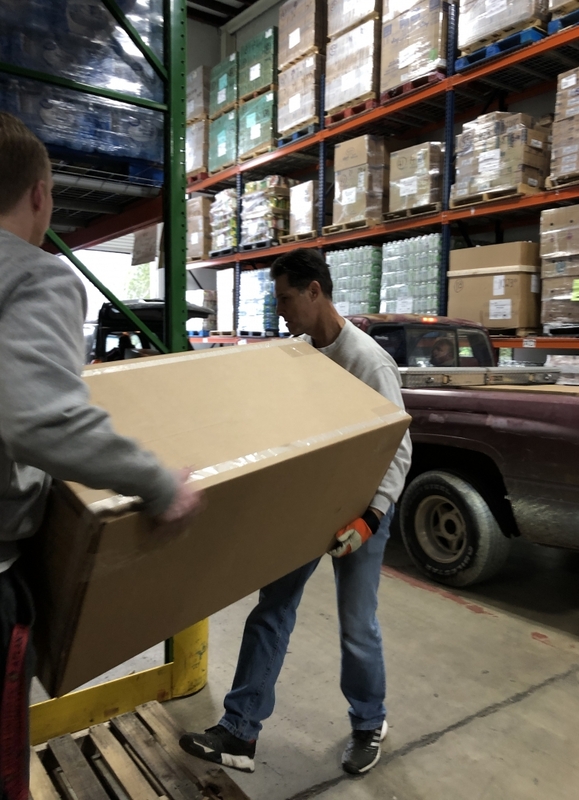 They worked hard by loading pallets of boxes for us! We are grateful for this help! 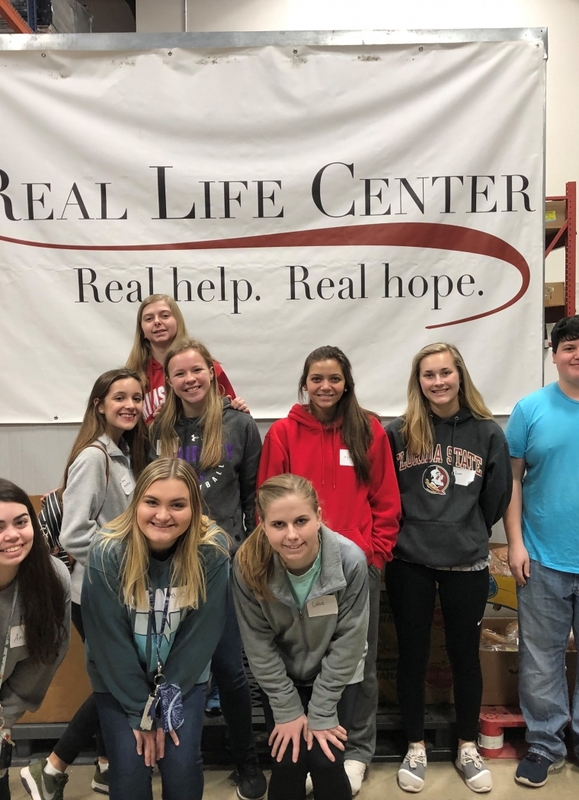 We are grateful for the serving hearts of this group of hardworking teenagers from Carriage Lane Presbyterian Church. 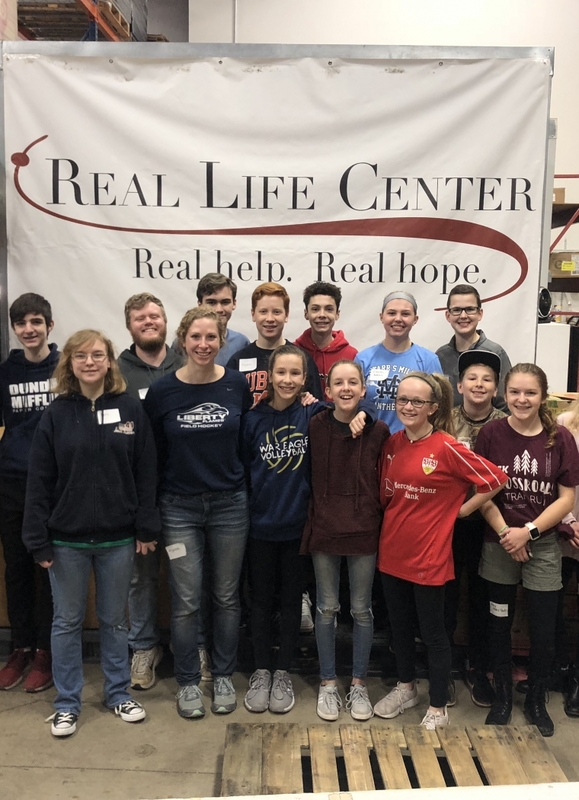 These incredible youth spent a Saturday morning helping us stock shelves and sort food for our food pantry. 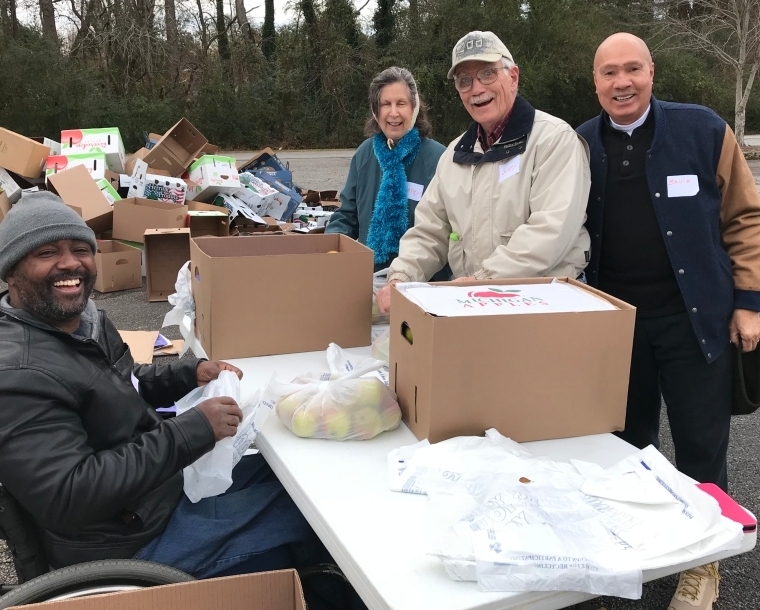 We continue to be blessed by willingness of the local churches in our area to serve their community. 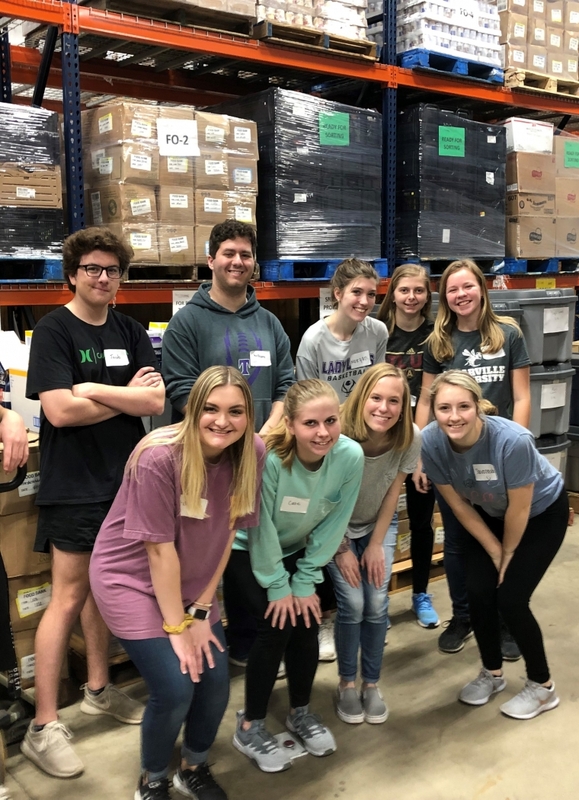 Recently we had the Missions Team from Evergreen Church come and help us sort food for pantry. A very special thank you to the Frank Cawood and Associates Team for their continued support! 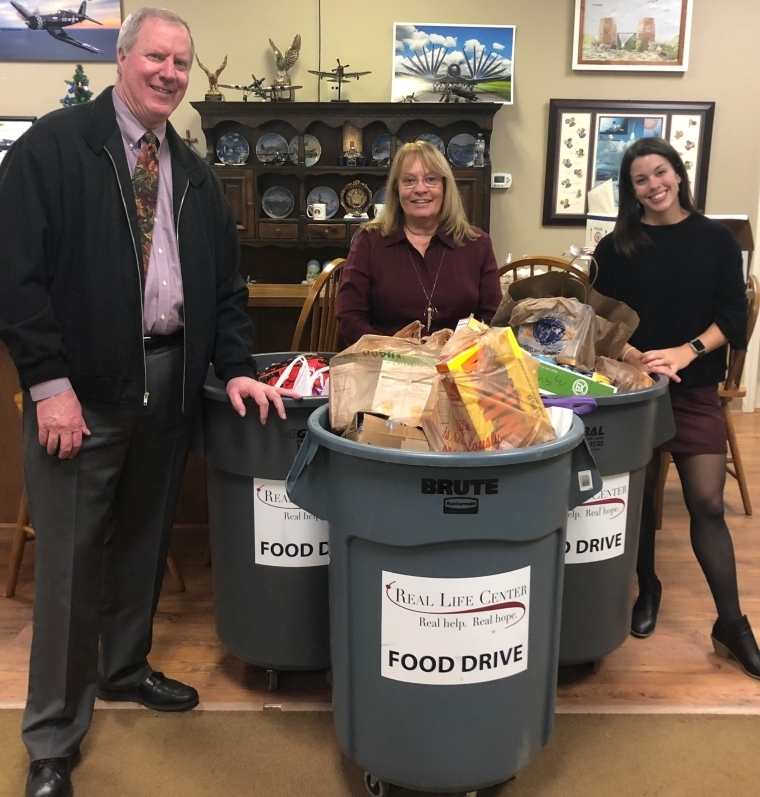 Their recent gift of food donations and a generous monetary donation to go towards purchasing food items for our food pantry will surely bless many! 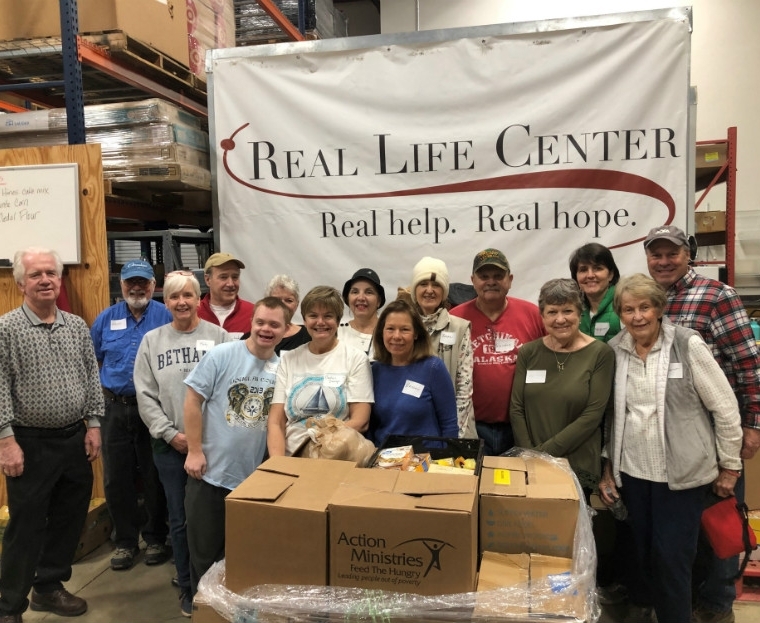 We were blessed to have another small group form Southside Church and their Be Rich Campaign volunteer their time to serve with us by helping us sort food for our food pantry. 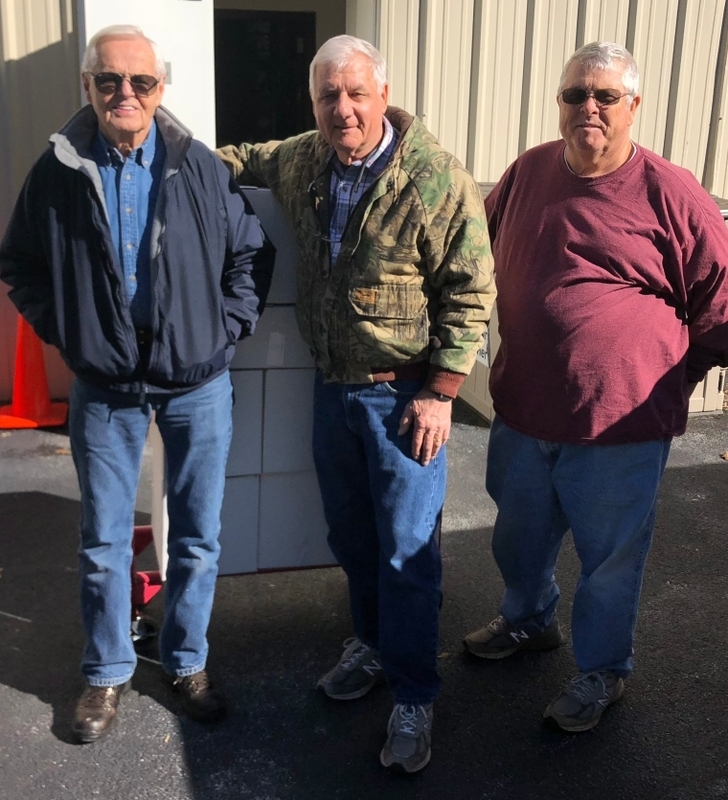 Over the past few months we have had multiple members from Southside church donate their time through serving their community. 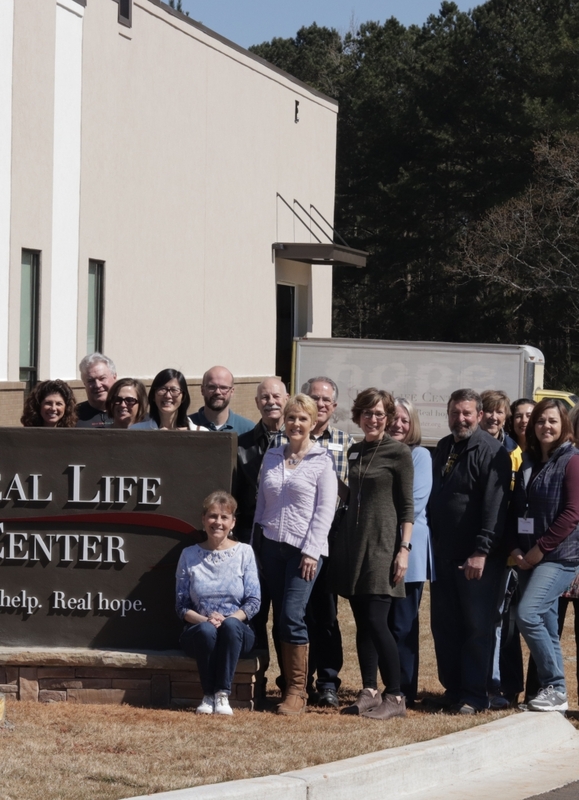 We were so thankful for groups that come and volunteer with us at the Real Life Center. We want to thank the ladies from this discipleship group that came and help us sort food for our food pantry. 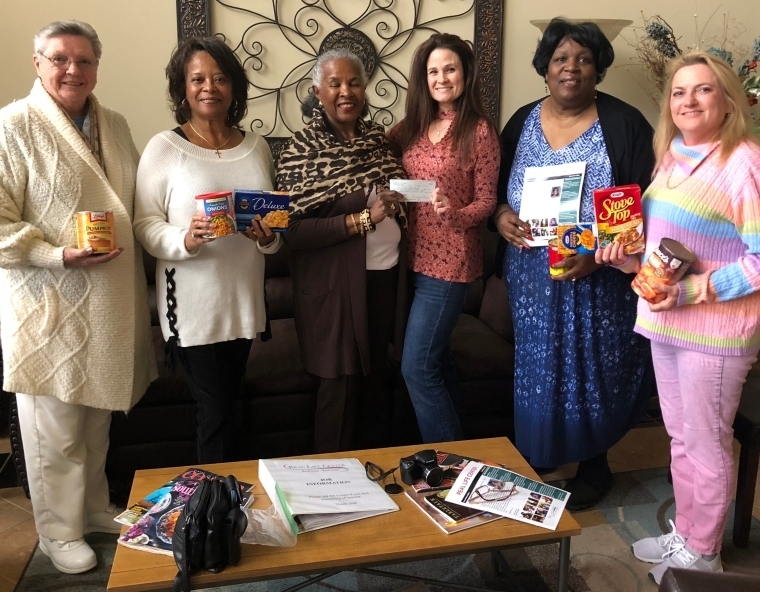 We want to thank the Fayette Democratic Women for their recent donation of non-perishable food items for our food pantry! They also gave a monetary donation to help us meet the needs of so many in our community! We are very thankful for their kindness! 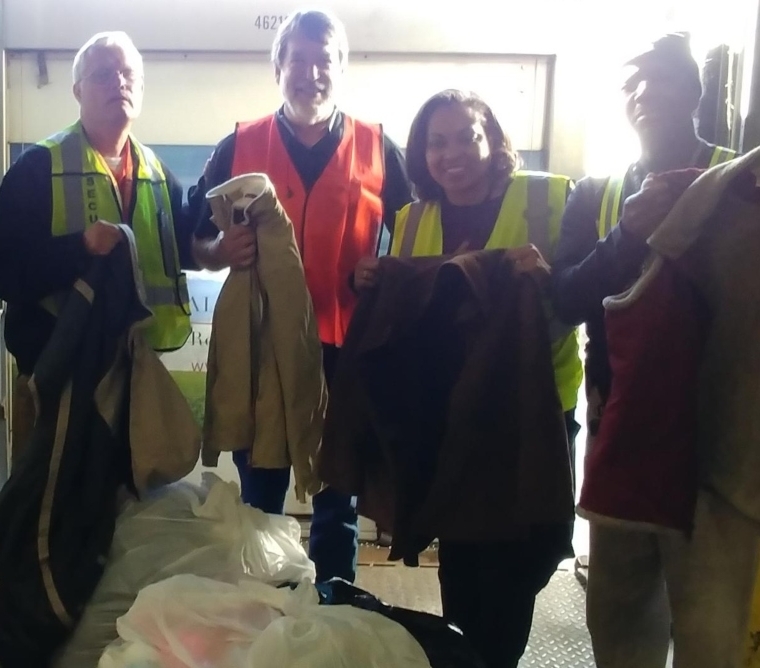 Thank you to US Foods for their recent donation of winter coats! We have had many families in need of coats this winter, so this is such a great gift! 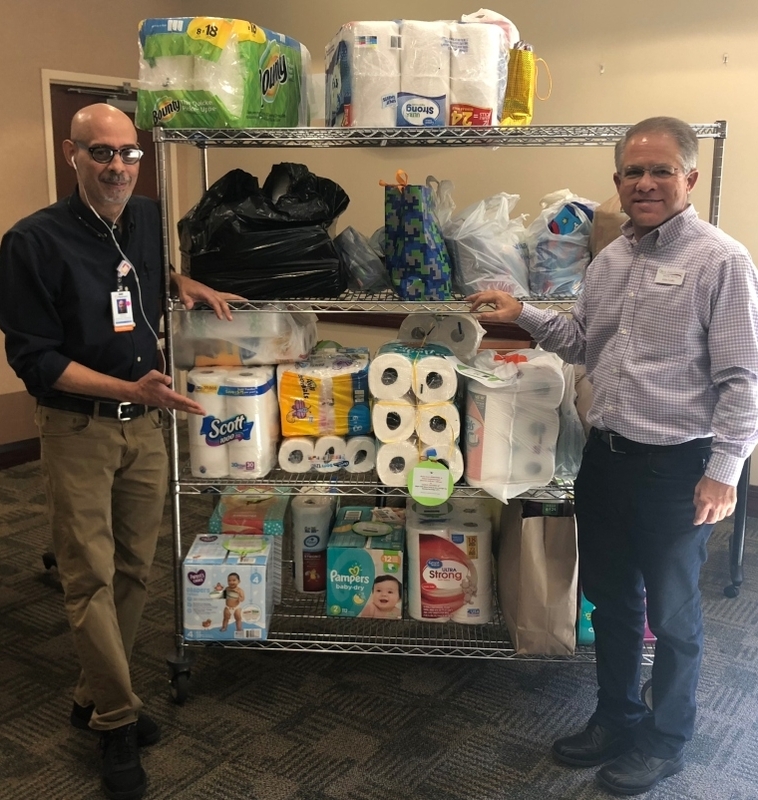 We received another generous donation of some of our top needed food items, diapers, and brand new socks and underwear from the Fayette Bible Church family! Thank you so much for this blessing! We are so very grateful for our partnership with Gritton’s Training System! 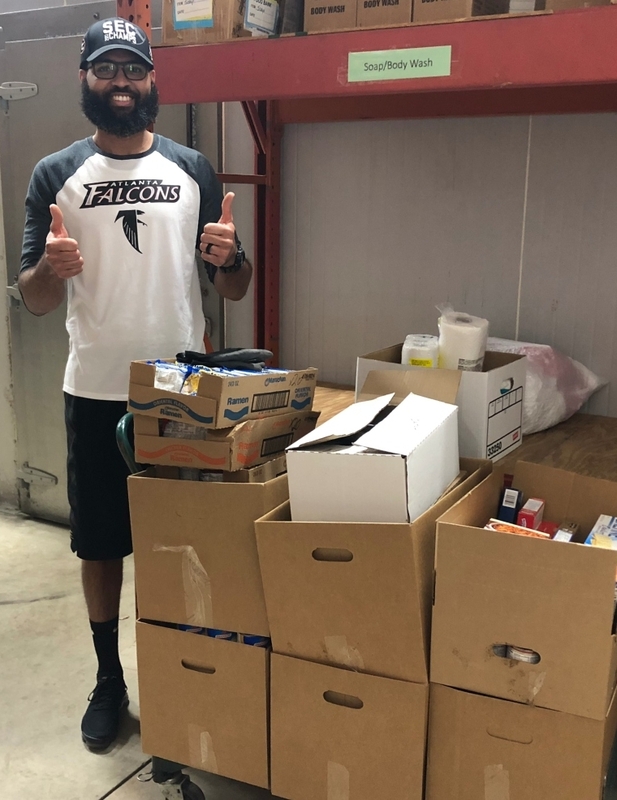 The trainers and athletes worked together in donating many of our top needed items for our food pantry. Thank you to everyone who gave so generously! 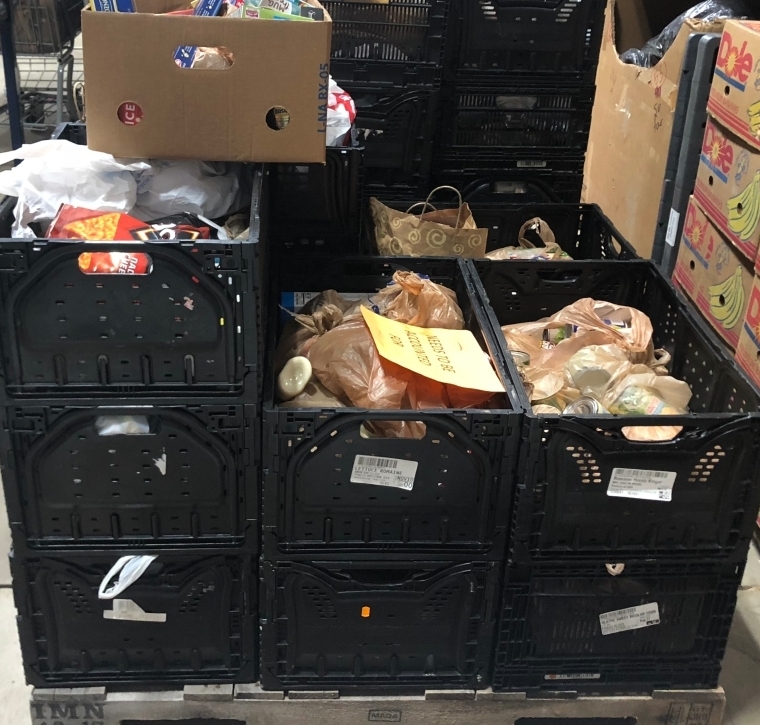 Our neighbors at CertainTeed sent a team to come and help us sort food for our food pantry! 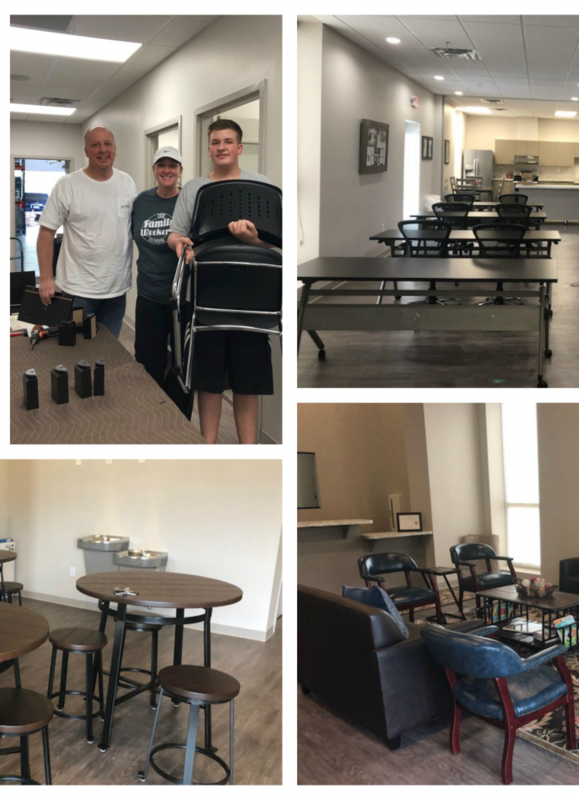 We are so blessed to have businesses like CertainTeed in our community that so generously give their time to serve. 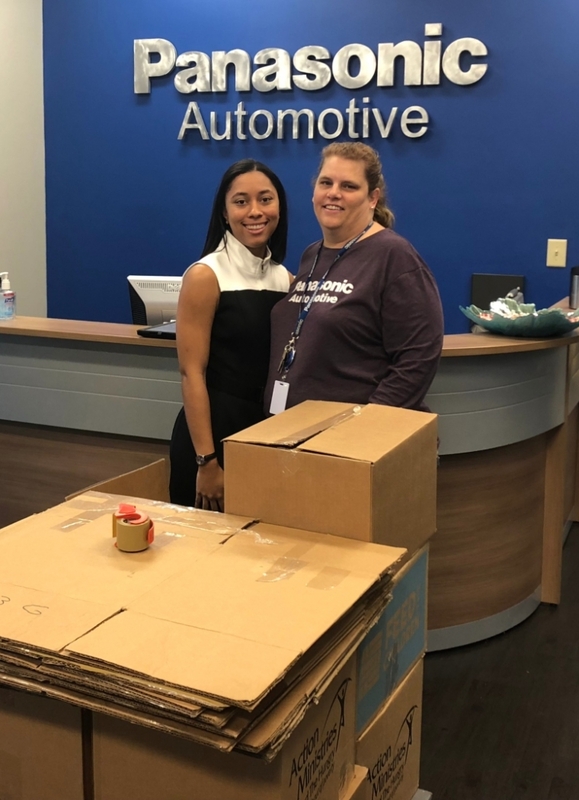 Our amazing partners at a Panasonic Automotive have blessed us again this year by hosting their annual holiday food drive! 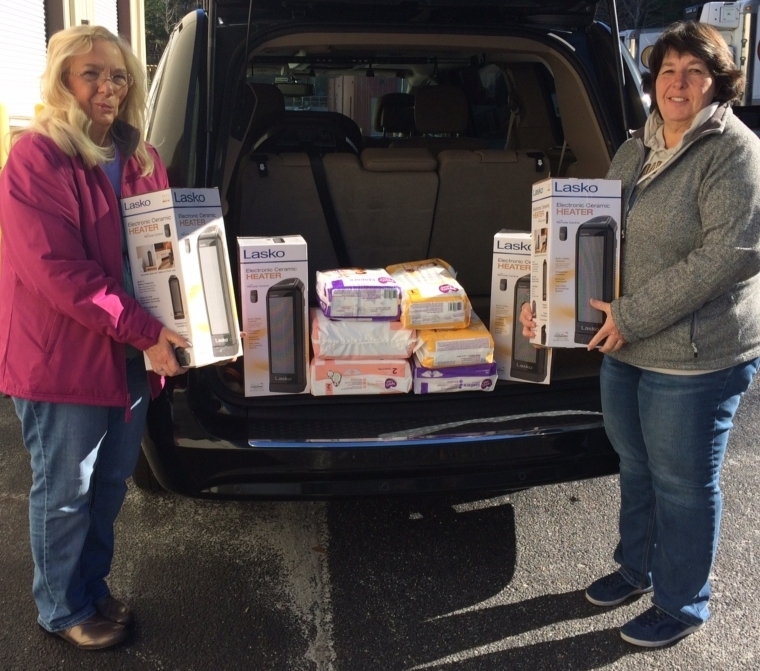 Thank you so much for this awesome gift for the families that we serve! 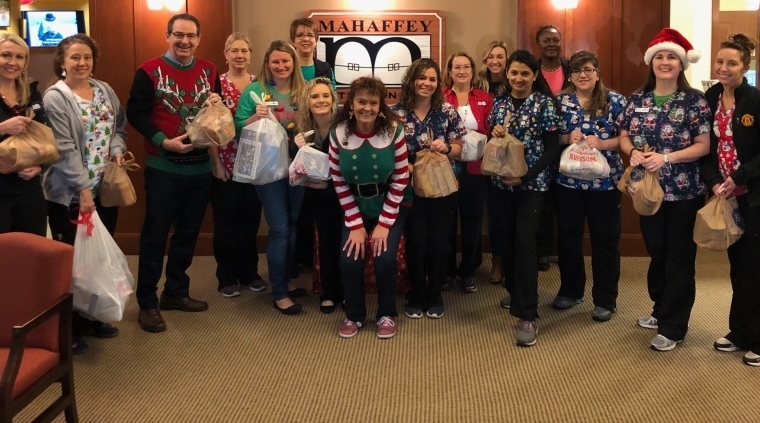 A very special thank you to Mahaffey Orthodontics for hosting a food drive this holiday season! 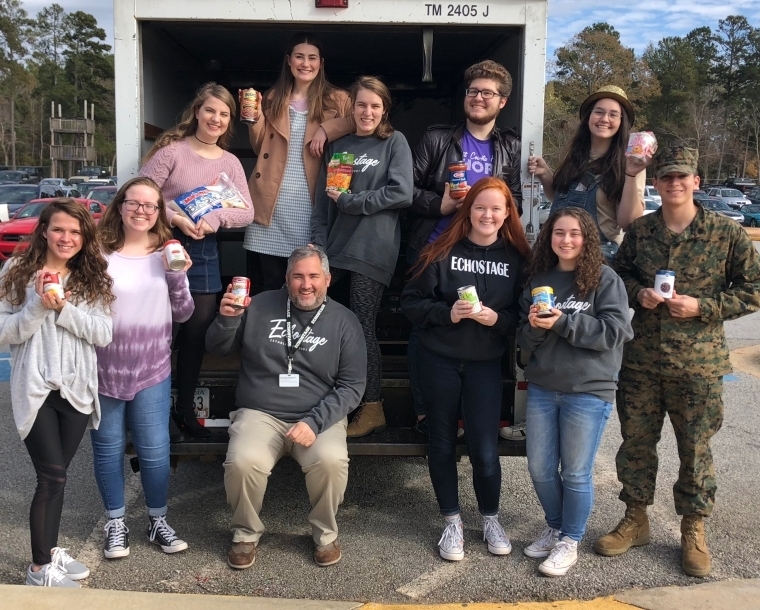 We are so thankful for their help in stocking our food pantry shelves! 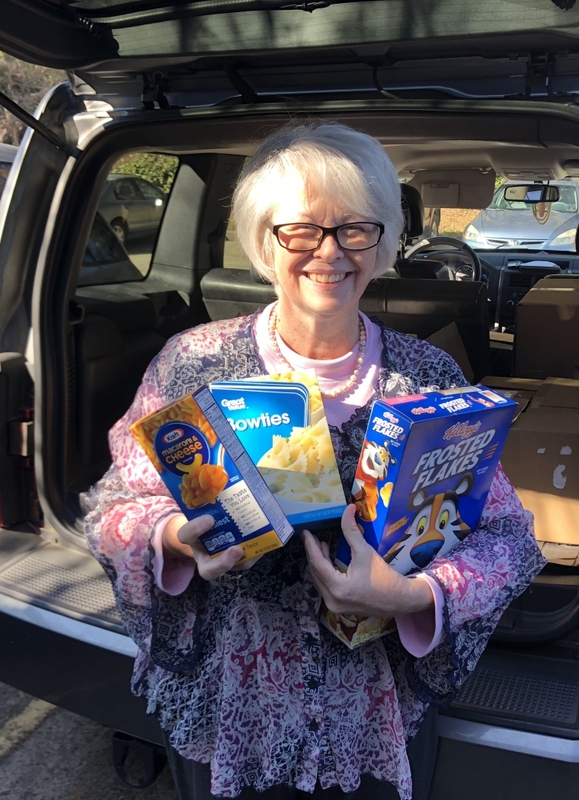 A special thank you to our friend Bonnie Bowers Helander for coordinating a community food drive! 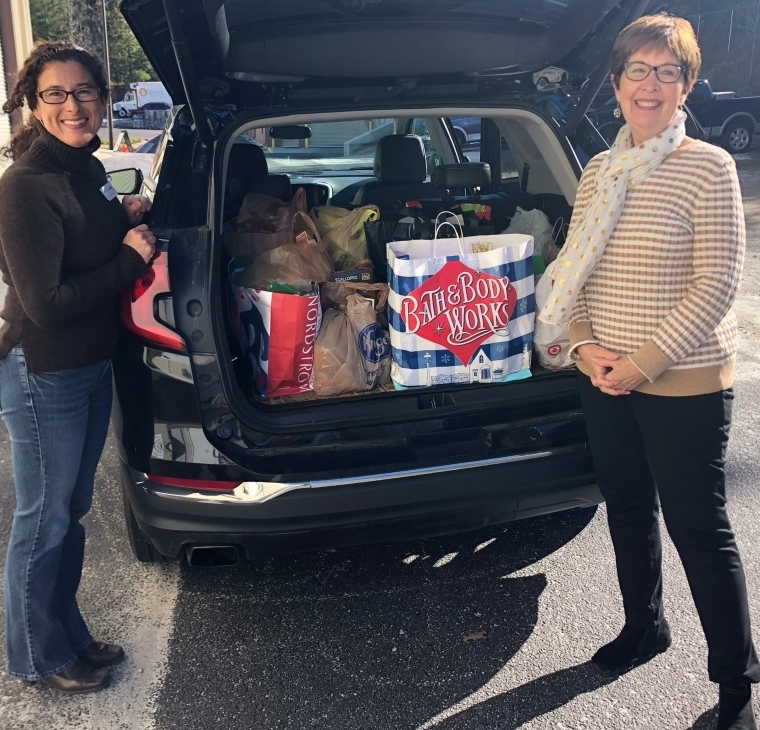 Her friends with the Peachtree City Garden Club, Parkgate Lane neighbors, and the Weaver small group with FBC Peachtree City Church all generously gave food donations which will make a difference in our ability to help those who are in need of help. 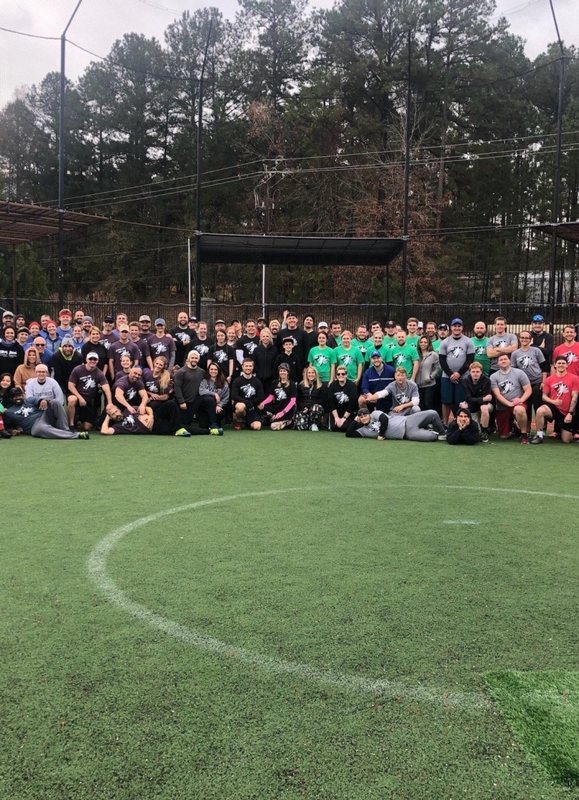 Kickball for Kids Kickball for Kids 2 was a huge success! 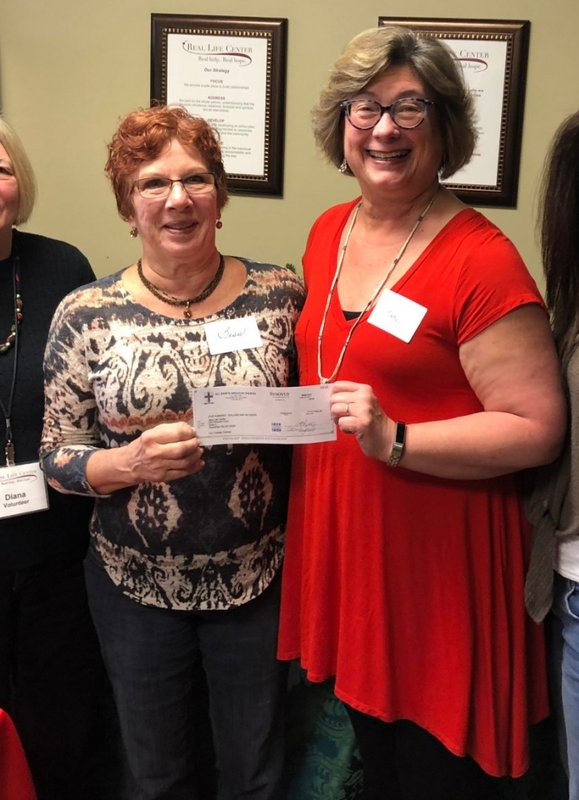 This charity kickball tournament that benefits underprivileged children in Coweta and Fayette County blessed the Real Life Center with a generous gift of $1500. 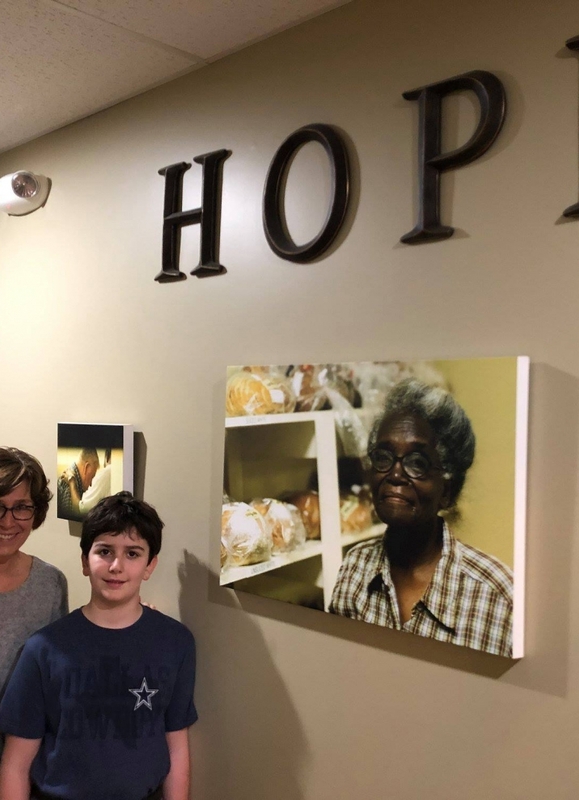 Virgle Garrett is making a difference in the lives of others at age 10. 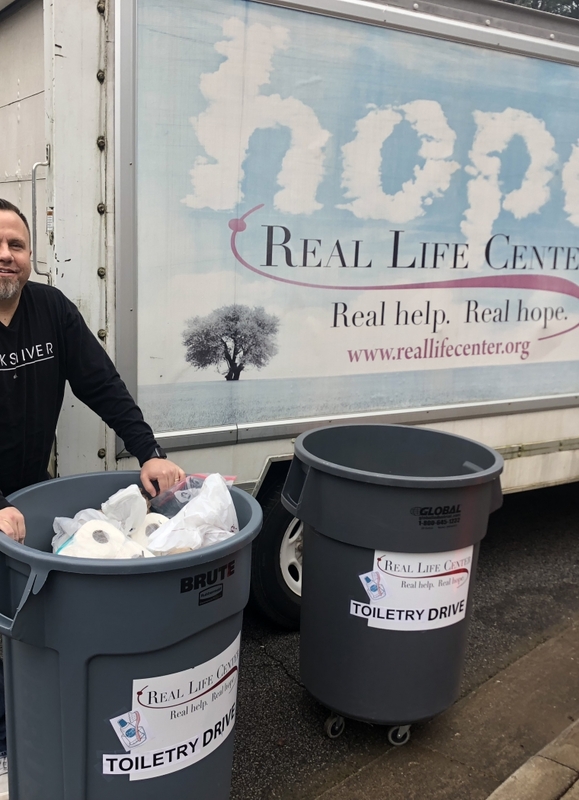 He brought in a monetary donation to the Real Life Center to help families who are struggling financially. Virgle is a wonderful reminder to us all that we are never too young or too old to make a difference in the life of another! 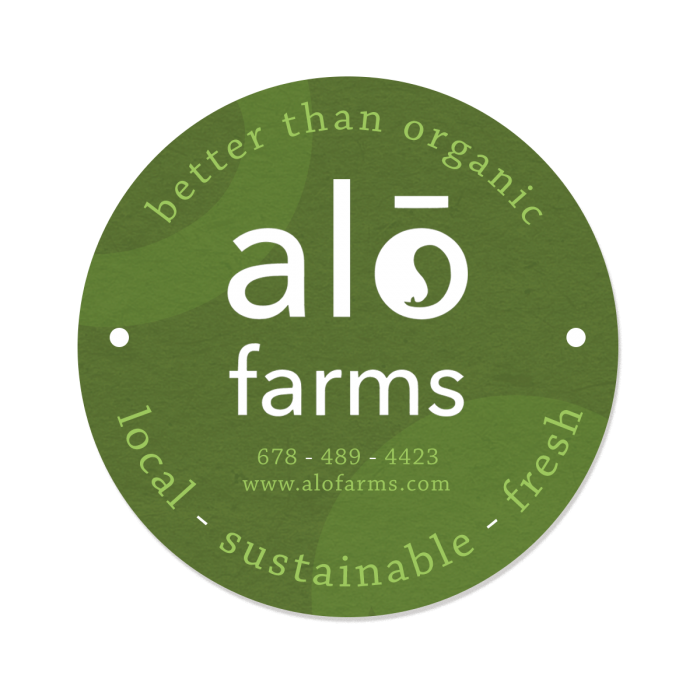 What a wonderful surprise in-kind donation of 50 heads of beautiful organic lettuce from Clinton Bowman from Alō Farms. They are an international leader in sustainable and resilient alternative farming methods and provide our communities with local, clean, and healthy food. We have been blessed to be a recipient of their generosity. 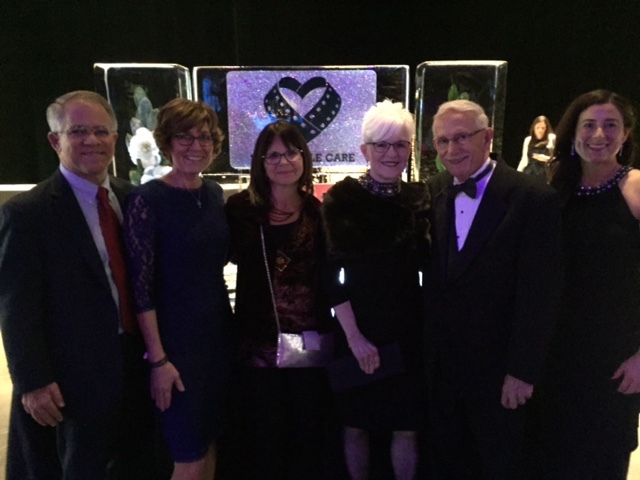 We had so much fun last night at the Reel People Care Gala! 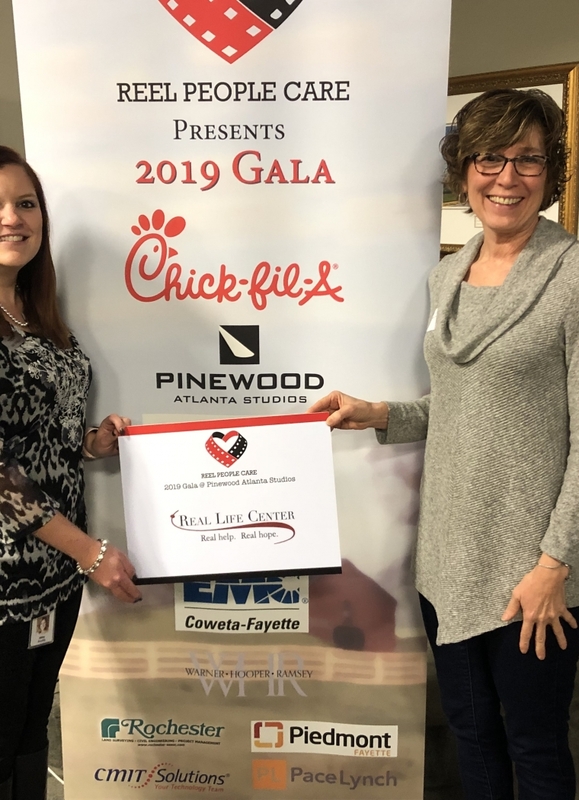 What a special evening sponsored by Chick-fil-A and Pinewood Studios benefiting the work of local non-profits, including the Real Life Center. 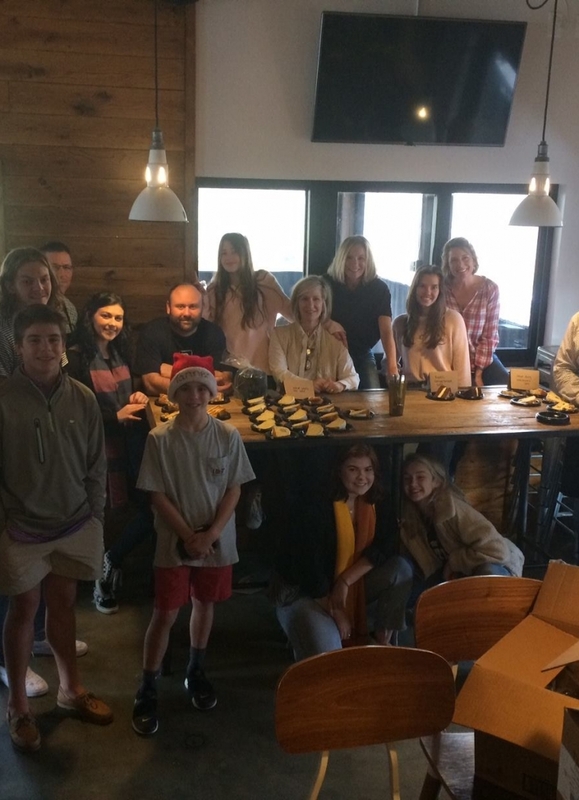 We enjoyed spending it with some very special guests! Thank you Chick-fil-A and Pinewood Studios for this amazing event that benefits non-profits in our community! 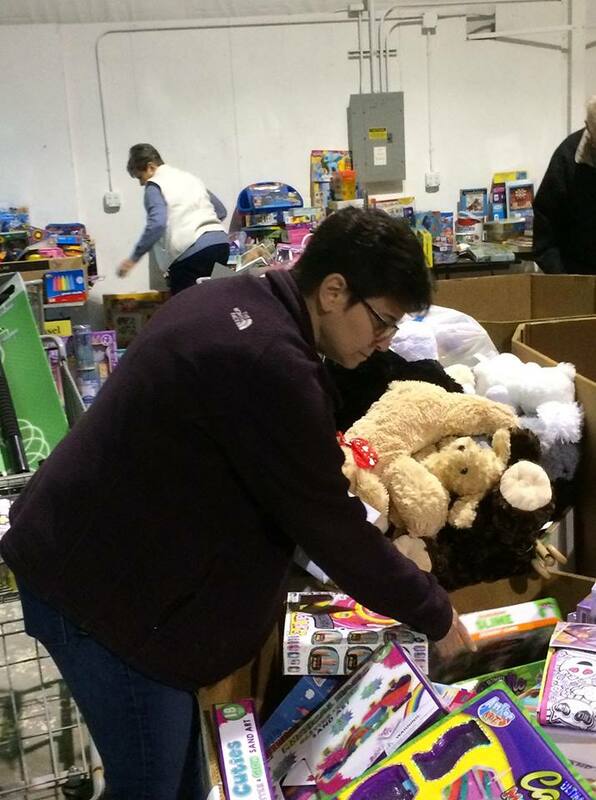 Toys for Tots provided Christmas gifts for 96 children served by the Real Life Center from Fayette County. 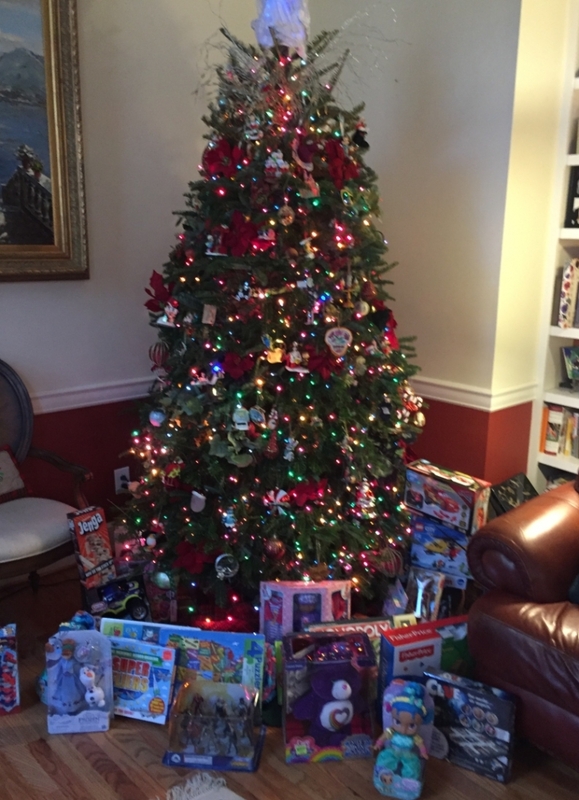 We are thankful that those children will have the opportunity to open gifts Christmas morning. What a blessing the Toys for Tots program is and as well as all those who donate and volunteer to make it happen! 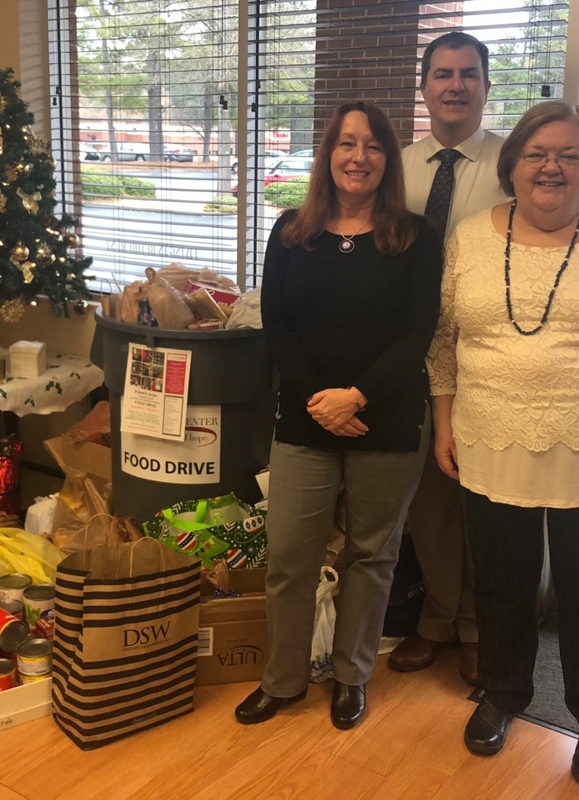 Thank you to the Clairmont Dental Associates team for hosting their third annual holiday food drive for us this year! 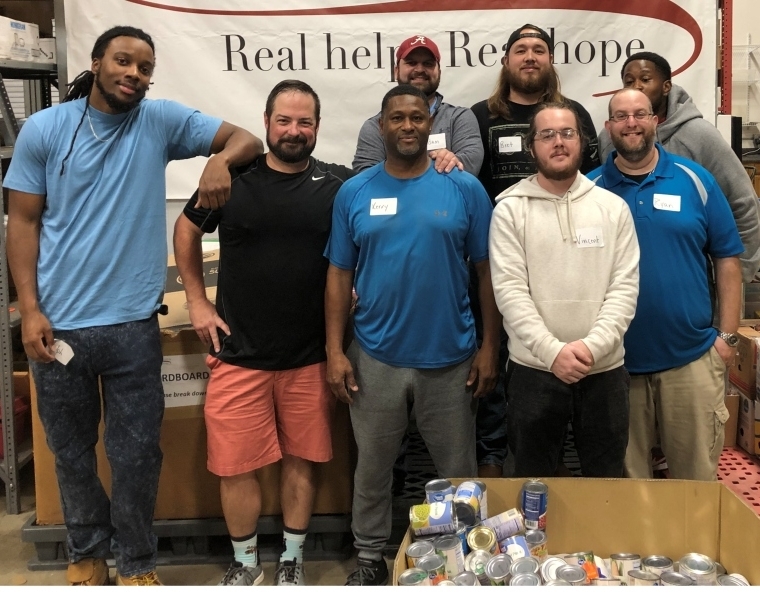 They do such an amazing job in getting all of their clients involved in giving back to our community! 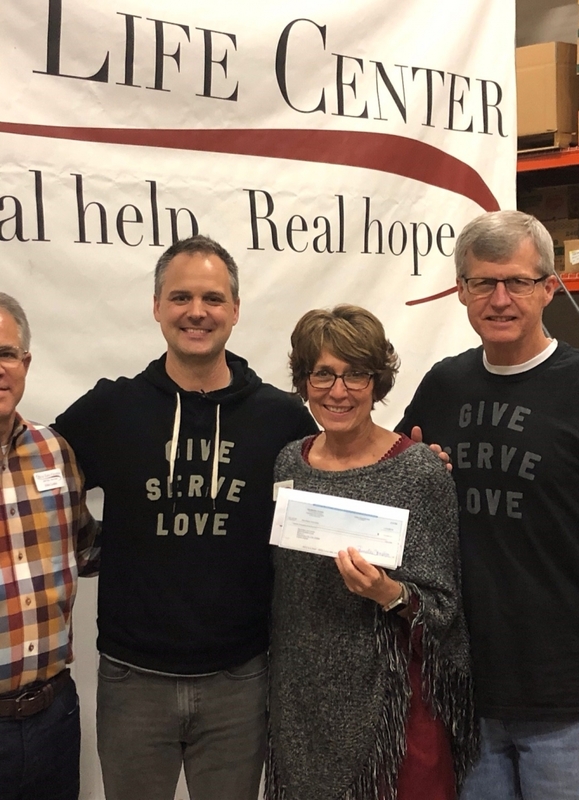 We are overwhelmed by their generosity, and we are so thankful for this amazing partnership! 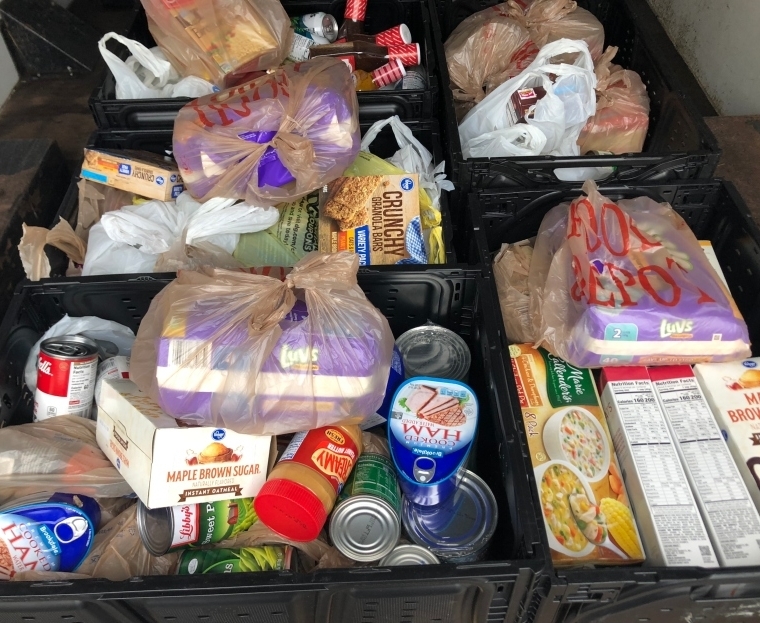 We want to thank the employees of the PetSmart Distribution Center in Newnan for the awesome gift of food donations for our food pantry! 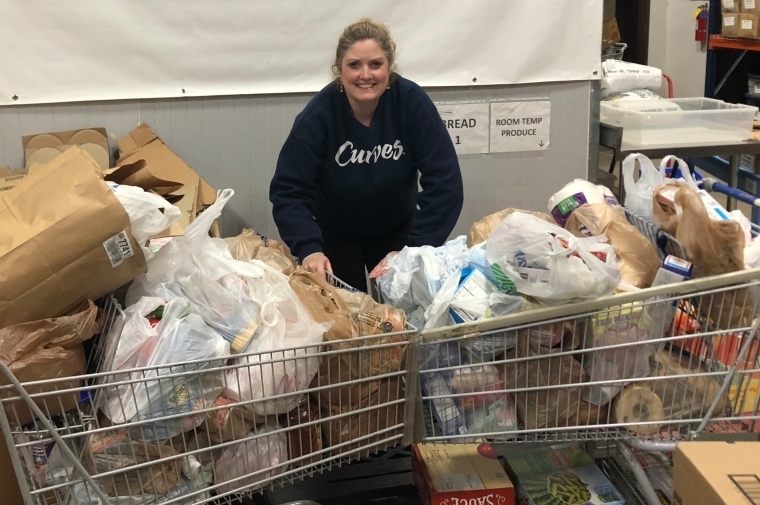 They donated so many of our top needed items this holiday season! We are so very thankful for this gift! 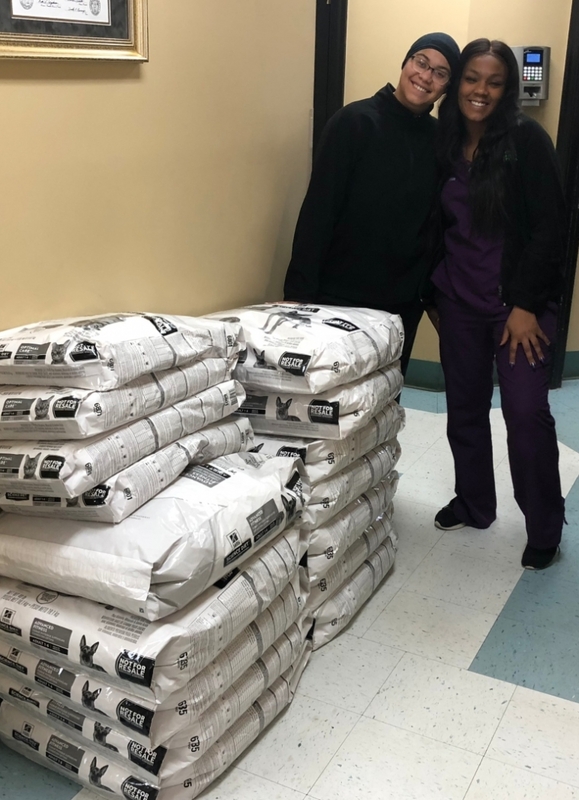 We want to thank our friends at East Coweta Veterinary Hospital for their donation of Dog and Cat food to help the families that we serve that have fur babies! What a sweet gift this is! This is their second year that they have blessed us in this way, and we are so incredibly grateful for their partnership! 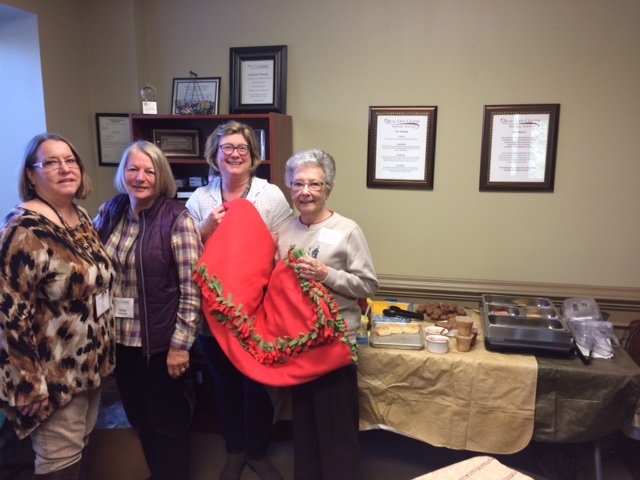 A very special thank you to the Optimist Club for their amazing food donation this holiday season! They bless us with this gift every year, and we are so incredibly grateful for their kindness! 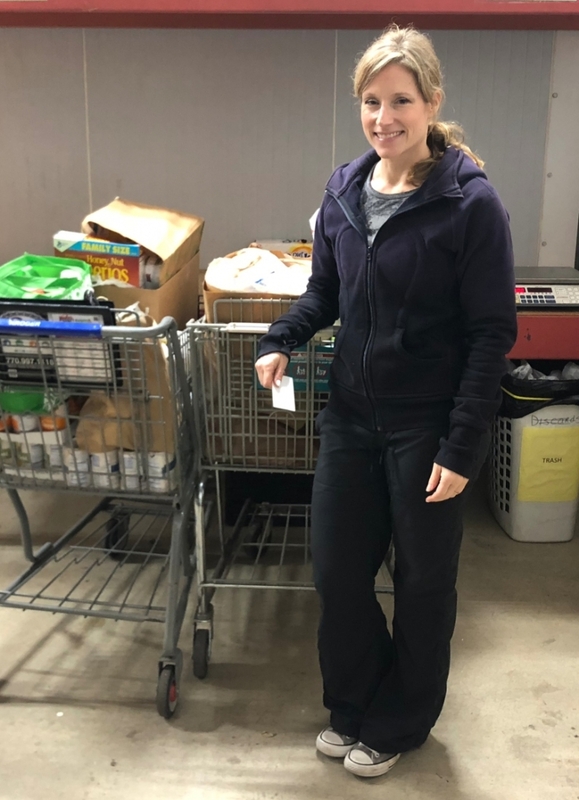 A special thank you to our friend Bonnie Helander for coordinating a community food drive! 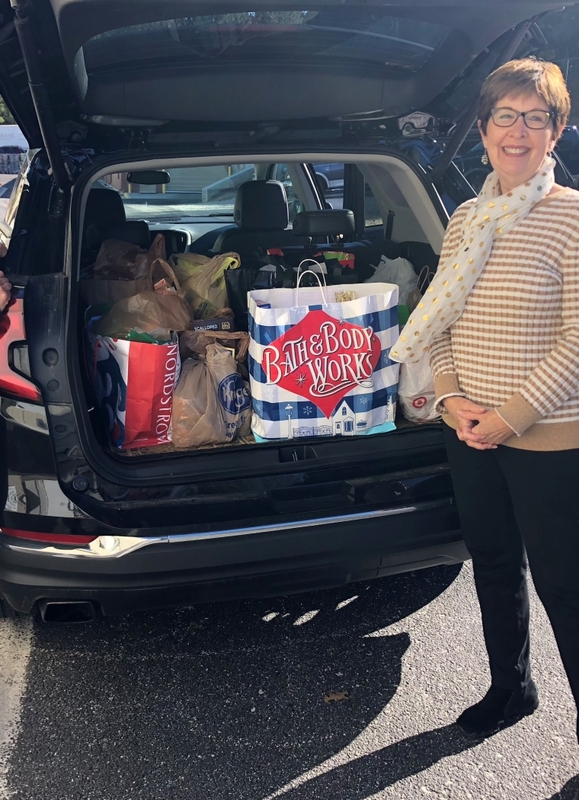 Her friends with the PTC Garden Club, Parkgate Lane neighbors, and the Weaver small group with First Baptist Church of PTC all generously gave food donations to bless the families that we serve! 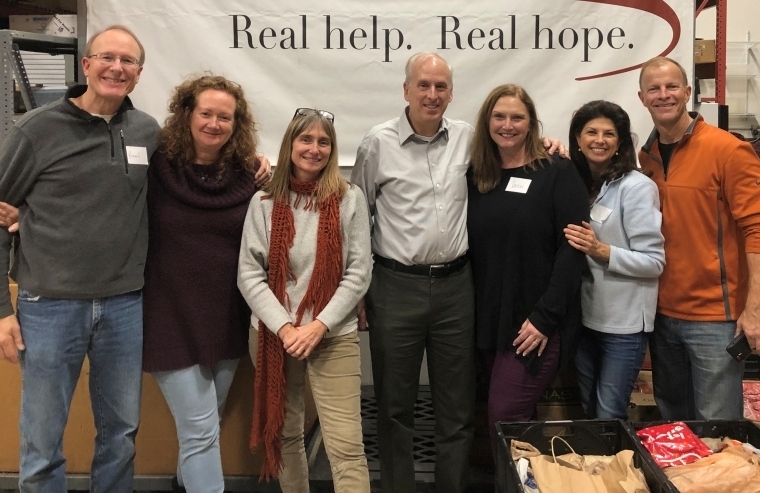 We were grateful for the opportunity to serve 228 families at our Mobile Food Pantry distribution last week! 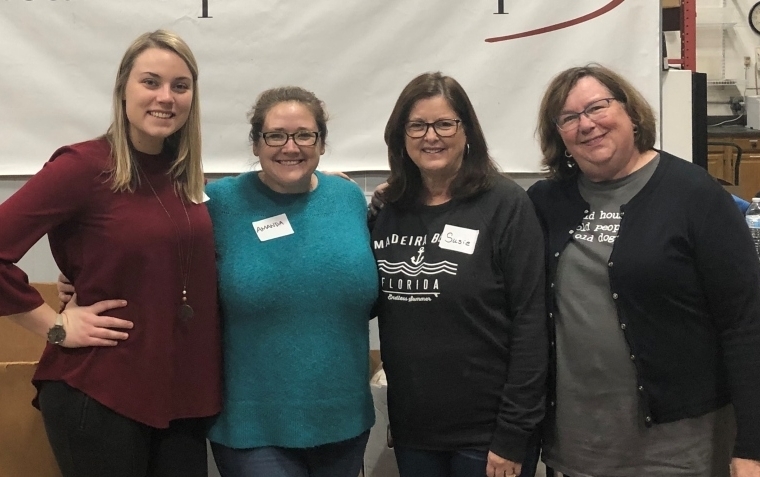 Thank you to our amazing volunteers who came to serve! 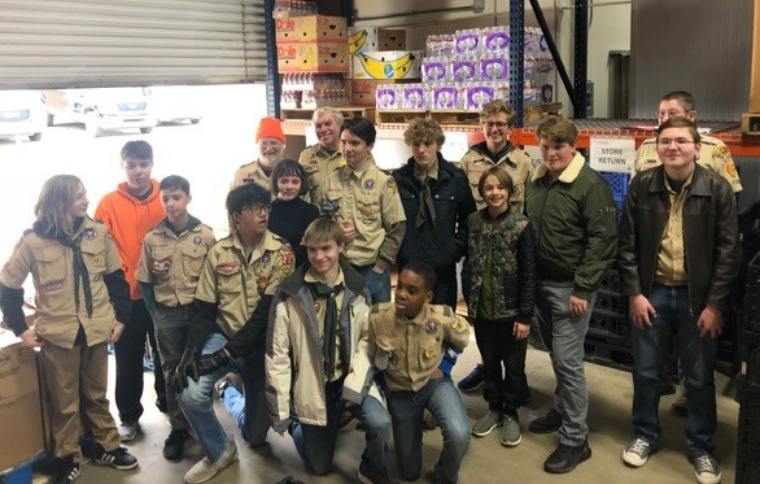 We were so thankful to have these young men from Boy Scout Troop 175 come by the Center to help us sort food for our food pantry! It’s always great to see servant-hearted young men like these serving their community! 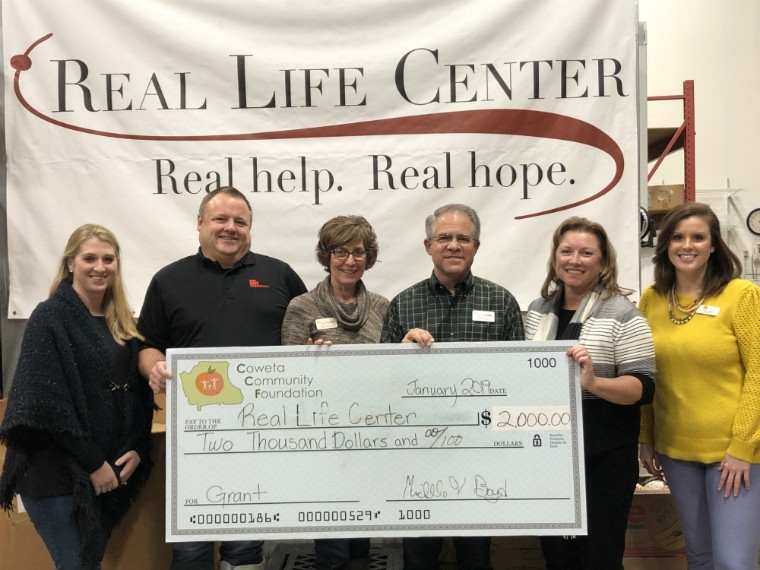 We were blessed again this year by the wonderful employees of Coweta- Fayette EMC who generously give their time each holiday season to volunteering with us at the Real Life Center. 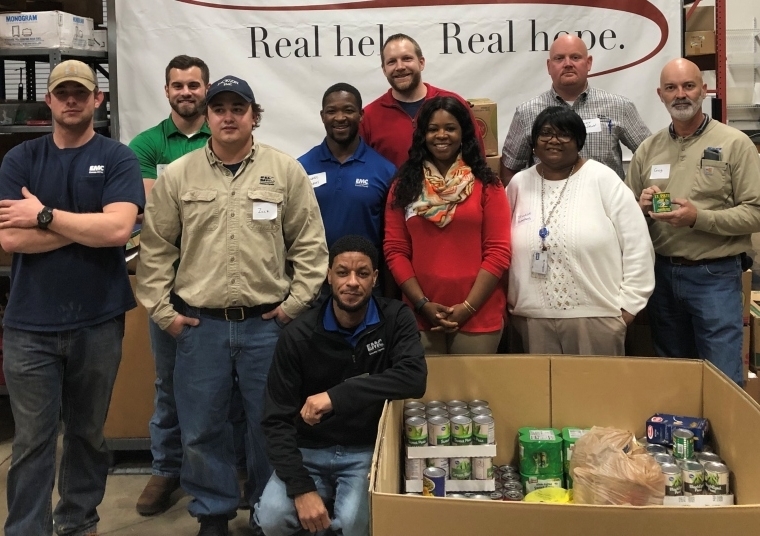 These employees spent an afternoon helping us stock shelves and sort food for our food pantry. 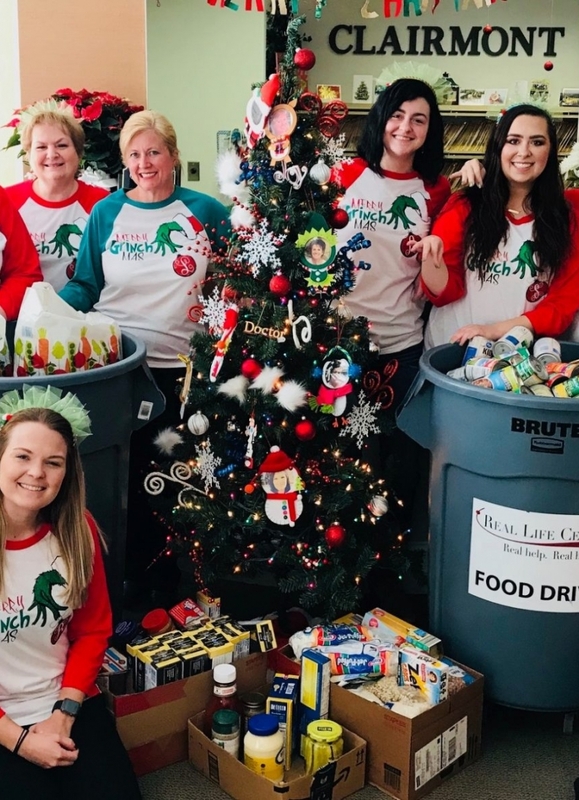 A very special thank you to the Woodcreek Ladies 3.0 Tennis Team for their kindness in donating toys and food to help the families that we serve during this holiday season! 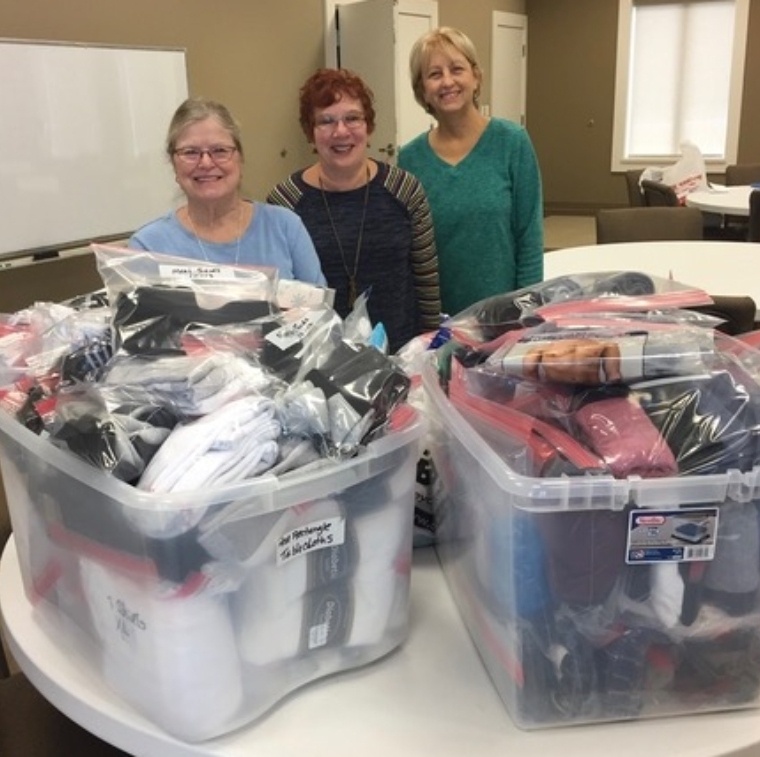 We are so very grateful for their generous hearts! 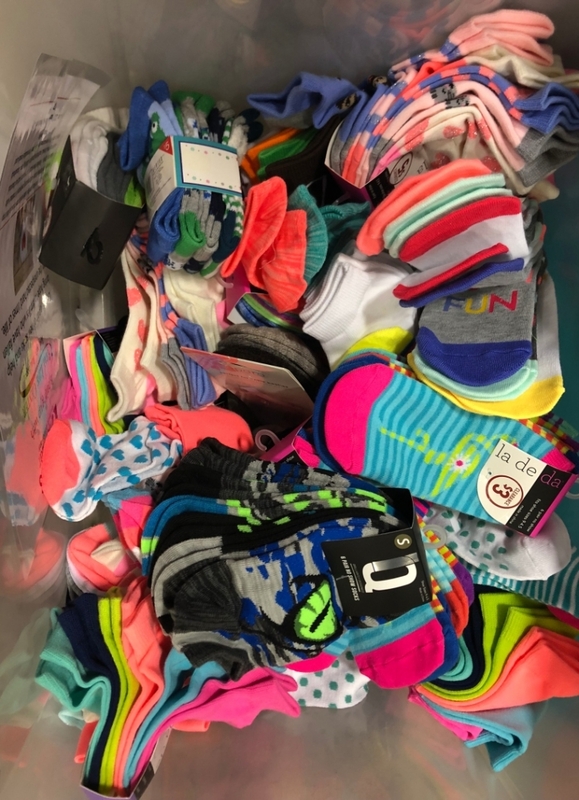 We want to thank Vicki Alsup and her Dogwood Church Small Group for the generous donation of socks for the children of the families that we serve! What a sweet gift this is! 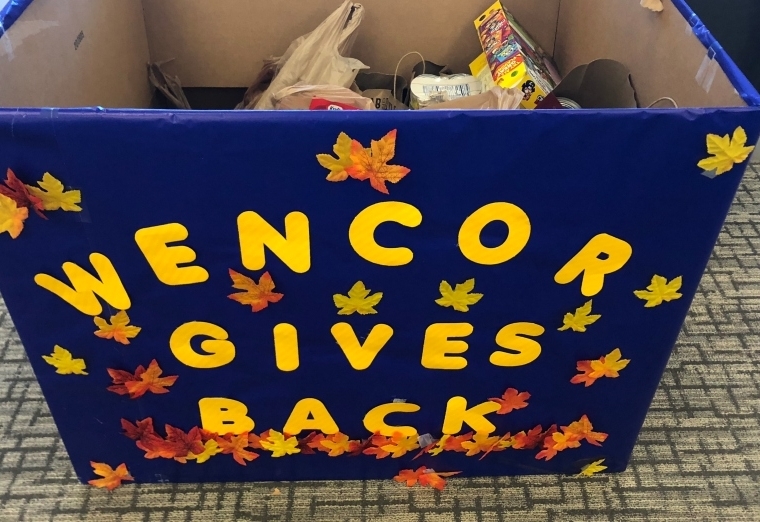 We would like to thank our partners at Wencor Group for their kindness in hosting a food drive! We are so very grateful for their continued support in this way! 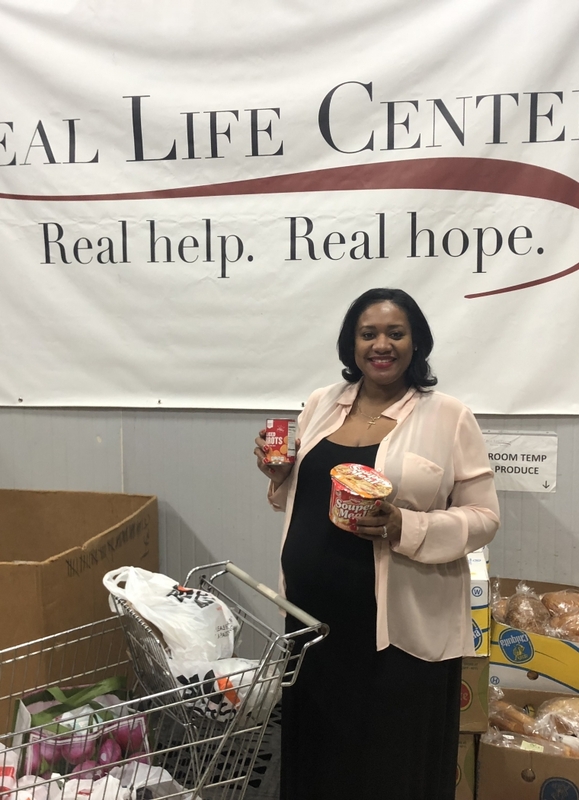 A special thank you to Ms. Tracey Singleton for coordinating the food drive. 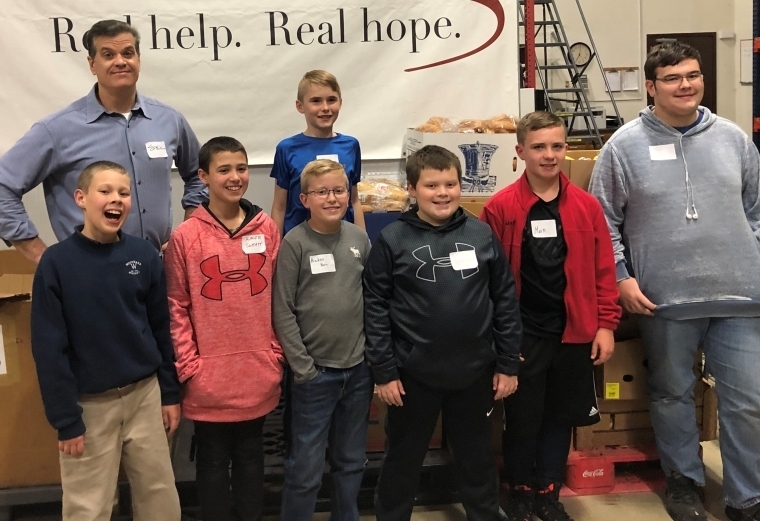 We want to thank the youth group form Carriage Lane Presbyterian Church for coming in to sort food and stock shelves for our food pantry. 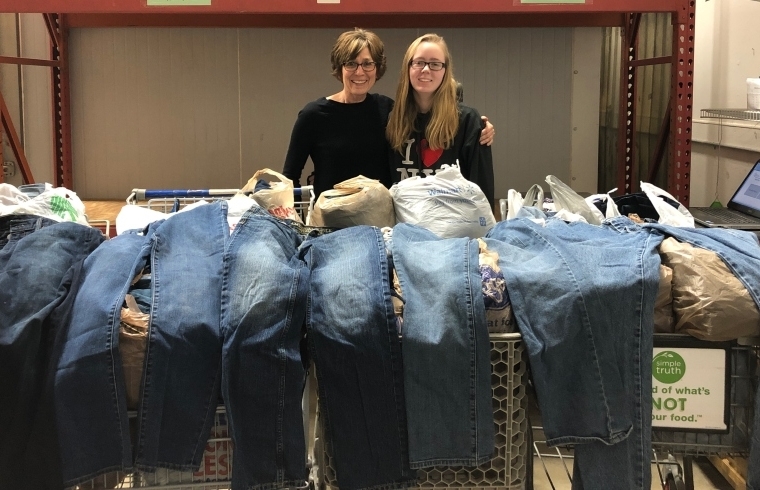 We appreciate teenagers who are willing to spend their weekend serving their local community.